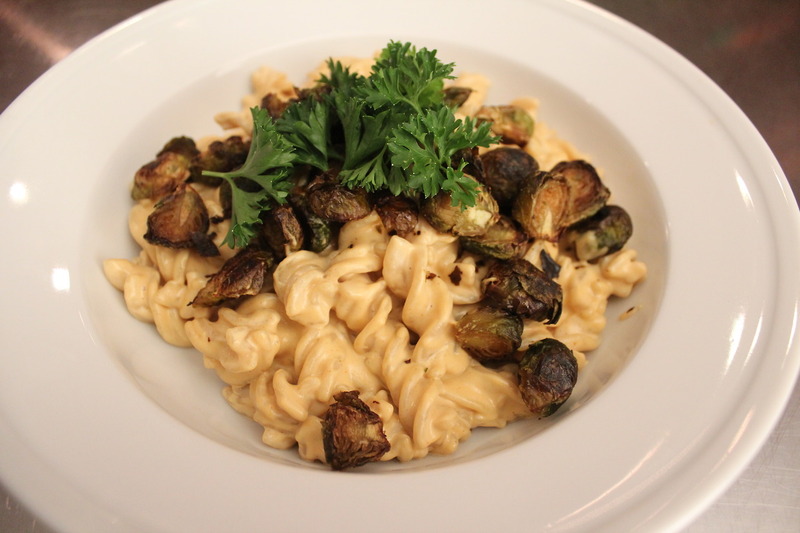 When I first went vegan, I thought I was saying goodbye to my beloved creamy pastas (Mac ‘n Cheese, Fettuccine Alfredo, Penne a la Vodka Sauce, I’d list more but I’m already getting hungry…). 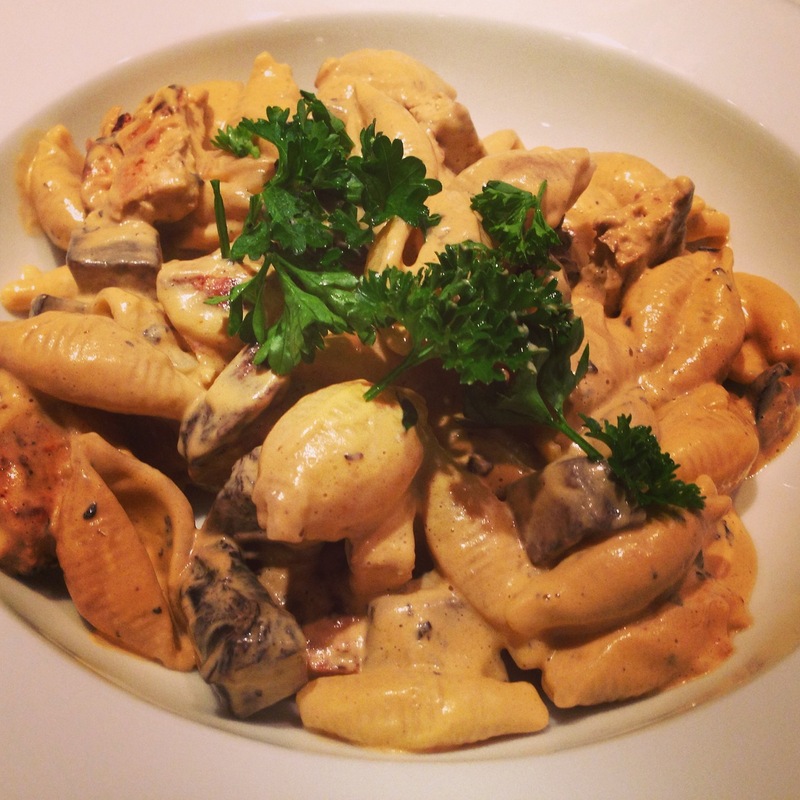 Tragically, it took me nearly two years to discover the magic of cashew cream, and another two or so years to begin experimenting, tweaking, and creating an array of decadent, mouth-watering, inventive creamy pasta dishes. In order to save you from these years of confused depravation, I thought I’d point out a few basics that, when thrown in a blender, will provide an excellent canvas upon which you can create. To me, these sauces are all about taste testing, which is why I don’t really provide any quantities. Also, I never keep close track of the amounts I use, because I constantly test and improvise, especially when experimenting with new ingredients. First, you need cashews. Sure, there are recipes for creamy sauces that don’t call for them (and instead use almond milk, soy milk, macadamia nuts, tofu, etc.) but I’m of the opinion that unless you have an allergy, cashews are king. The first vegan cookbook I owned taught me that in order to be creamed, cashews must first soak overnight, a practice which I used for a long time. Years later, my mind was blown when I learned you could soak them for two hours and still achieve a similar result. Imagine my excitement when, in a moment of desperation, I just threw handfuls of unsoaked cashews into my Vitamix with water, crossed my fingers, flipped the switch, and still ended up with a pretty incredible sauce! I’ve never noticed an added graininess or change in flavor when I don’t soak them, but to be safe (and if I have time to prep) I’ll usually soak them for about 2 hours. 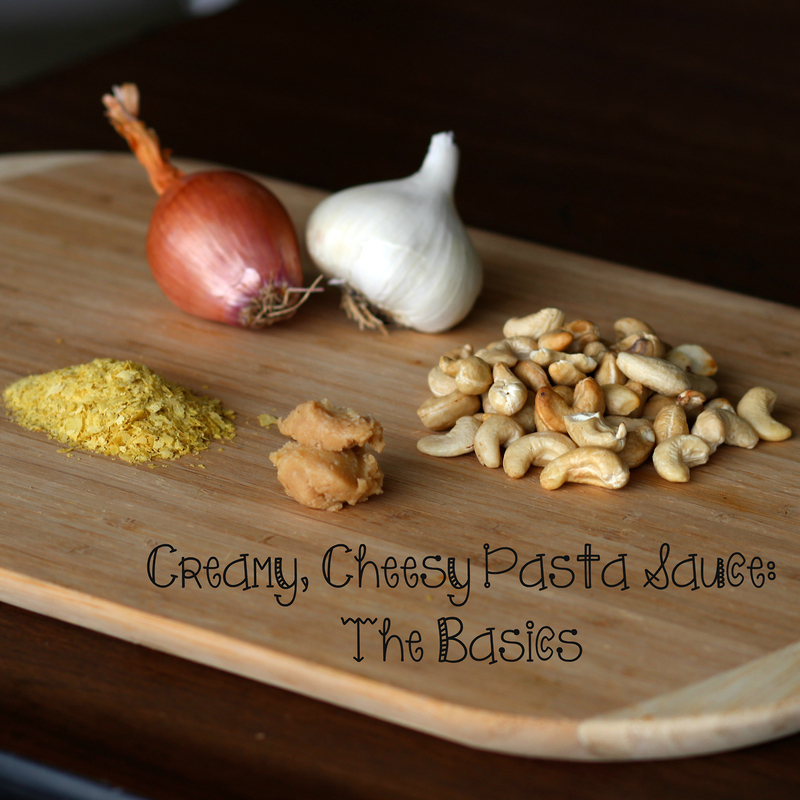 I almost always have raw cashews in the house, mostly to avoid the occasional moment of devastation when I’m craving mac ‘n cheese and find myself cashew-less. Second, you need nutritional yeast. I avoided buying nutritional yeast for at least my first year as a vegan, despite seeing it called for in many recipes, because it sounded weird, gross, and overly hippie-d out. Shame on me. Nutritional yeast (or “nooch”) is another staple I make sure to never be without. I throw it in just about every sauce I make, as well as salad dressings, dips, and- most nights- the dog’s food bowls. Nooch has a genuinely cheesy taste, and because of that, I often double the amount called for in any given recipe. If you insist on a quantity approximation, I’d guess about 1/4 cup of nooch goes into a batch of sauce for four people. Don’t quote me on that. Finally, garlic and onions. I use a LOT of garlic. In last night’s sauce to serve five people, I probably threw in about half the bulb. You may want to tone that down a bit. As far as onions go, I don’t really have a preference for color/size. Last night I used shallots, but I often use a white onion. I’ve seen recipes that ask for the garlic & onions to be diced and sautéed before being added to the blender, but I’ve also just used it raw. Both ways work fine for me. I start by putting only the cashews in the Vitamix along with enough water to just barely cover them. Depending on the desired thickness, sometimes I add a bit more. After blending on high, I check to see if it needs more water or, if it’s too runny, more cashews (which is why I’m grateful that cashews don’t HAVE to be fully soaked; if I didn’t soak enough, I can just grab more raw ones from the cupboard). After that’s ready, throw in the other basic ingredients (plus some salt & pepper), blend, and start tasting. I doctor my sauces a lot throughout the process, typically starting out somewhat mildly and then adding more and more of a given ingredient as I proceed. This makes it very annoying to be in the room with me while I cook, because the Vitamix noise constantly going on and off is enough to drive a person crazy. If you’re now inspired to go create, let me know how it works out! And please, feel free to tell me which ingredients YOU like to mix in; what did I leave out? Next Boycotting Businesses That Sell Fur: Yes or No? Thank you so much for the mention! This is such a great, informative blog post. After making vegan mac and cheese sauce for the first time last night, I was wondering if I could use the same basic ingredients to make other cream sauces, and now I know that I can! Thank you!